I was privileged to be welcomed to take part in a touching Christian sunday ceremony at a remote church in Taiwan’s Lijia mountain village. Cultural and religious influence on Taiwan’s indigenous peoples for over three hundred years has come from the Qing Dynasty Chinese (1683–1895), the Japanese (1895–1945), the Kuomintang (1945–1987) and modern day Taiwan, bringing a mixture of Confucianism, Taoism and Buddhism. However, it is Christianity from Europe that is the core faith still held by the majority of Taiwan’s aboriginal population, having largely replaced previous animist spiritual beliefs. Christianity was first brought here around 400 years ago by missionaries during the Dutch colonial era (1623–1662). The Dutch built schools and churches in many villages during their reign and this influence is credited for helping to end hundreds of years of warfare between tribes. It was also the Dutch who first transcribed the Taiwanese aboriginal languages, such as Tsou, into Roman script. 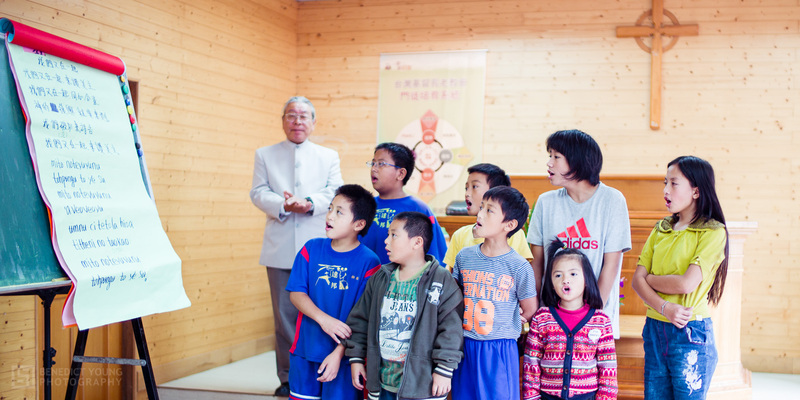 Today, prayers and songs are written out in both Romanized Tsou language and Chinese; the usefulness of the national language is undeniable, but it’s ubiquity is also one major cause leading to the disappearance of indigenous languages such as Tsou. 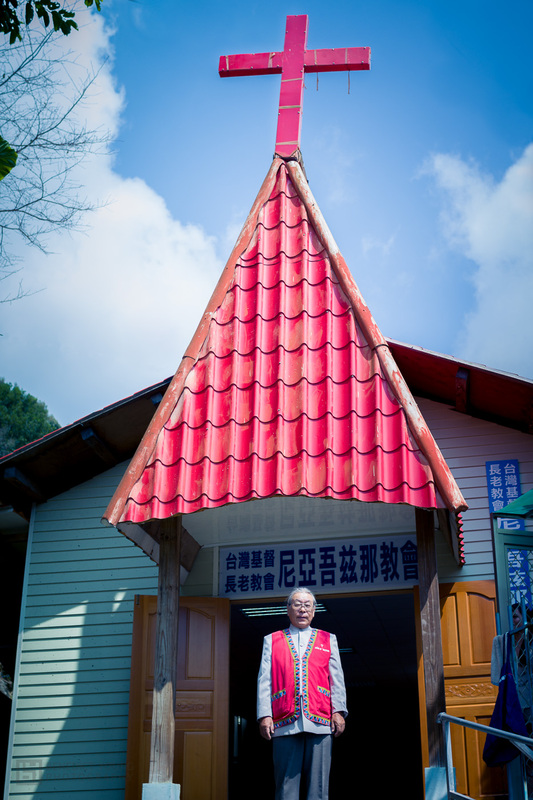 Visiting preacher from Japan Father Nobiyuki Okawa (大川信之) travelled a long way to give a moving sermon in this church in Lijia. His booming operatic voice and impassioned yet calm aura created a memorable ceremony which was clearly enjoyed by all. His service was delivered in Japanese and translated to Tsou. Thanks very much to all of the churchmen and congregation for warmly welcoming us to join them. Yayun: She is from the Atayal tribe, but thirty years ago she married a Tsou preacher and she now lives in Lijia / Nia’uchna and is a key member of the church community.